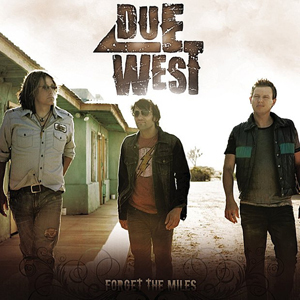 Due West - "Things You Can't Due In A Car"
With a sound that recalls great vocal bands like Diamond Rio, Restless Heart and other classic harmony-driven groups, Due West has released Forget The Miles, their debut album. In this exclusive feature, get to know the band as they head down the road to stardom. 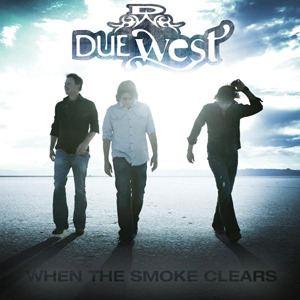 Due West - "When The Smoke Clears"
Due West scored a couple of hits on the Activator and Music Row Charts the last couple of years with "Bible And The Belt" and "I Get That All The Time" Their latest single is the harmony-rich ballad. Will it become the trio's biggest hit yet? Due West have been hittin' the pavement for a few years now and this six song album represents their first wide-ranging album release. How does it compare to other contemporary artists and groups? Due West - "Bible and the Belt"
Take a listen to Due South's new single. It's the follow-up to "I Get That All The Time," Their first Top 30 hit. The song is now their debut single as the newest artist signed to the Black River Music Group. 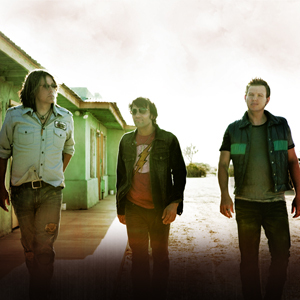 Fresh Music Friday: Due West (Free mp3 Download)! Here's your chance to get the latest single from trio Due West for free thanks to the band, Grassroots Promotions and Roughstock! It's from their debut album that will come out this comingTuesday.